The popular payment service Flint has updated its Flint Mobile iOS app to version 2.0, adding a bunch of useful features including invoicing and the ability to accept online credit card transactions. 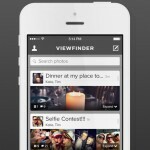 The application, which can be downloaded free of charge, is optimized for the iPhone. As a reminder, Flint Mobile provides users with a different kind of mobile payments app. Unlike Square, for example, the service doesn't require a card reader in order to work; instead, the Flint Mobile app snaps a secure scanned image of a credit card number and allows users to process payments this way. Deposits are made in one to two business days, and fees are limited to 1.95 percent per transaction for debit cards and 2.95 percent for credit cards. Now, however, Flint Mobile users can accept online credit card payments using the updated application; it's also possible to create, send, and redeem coupons using the app, and a number of minor design enhancements have been made, too. Invoicing and accepting online credit card payments. Log cash or check sales and send receipts. Create, send and redeem coupons by QR Scan of Apple Passbook or email. UI enhancements & Bug fixes. 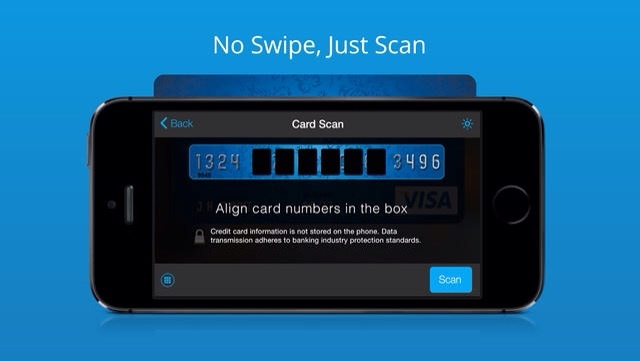 Passbook support, in particular, will be a much appreciated feature. As Flint explains: “Create coupons and send them to customers for no additional charge. Customers store them in their Apple Passbook or as email. Easily apply or redeem customer coupons by using the built-in QR code reader.” It's as simple as that. 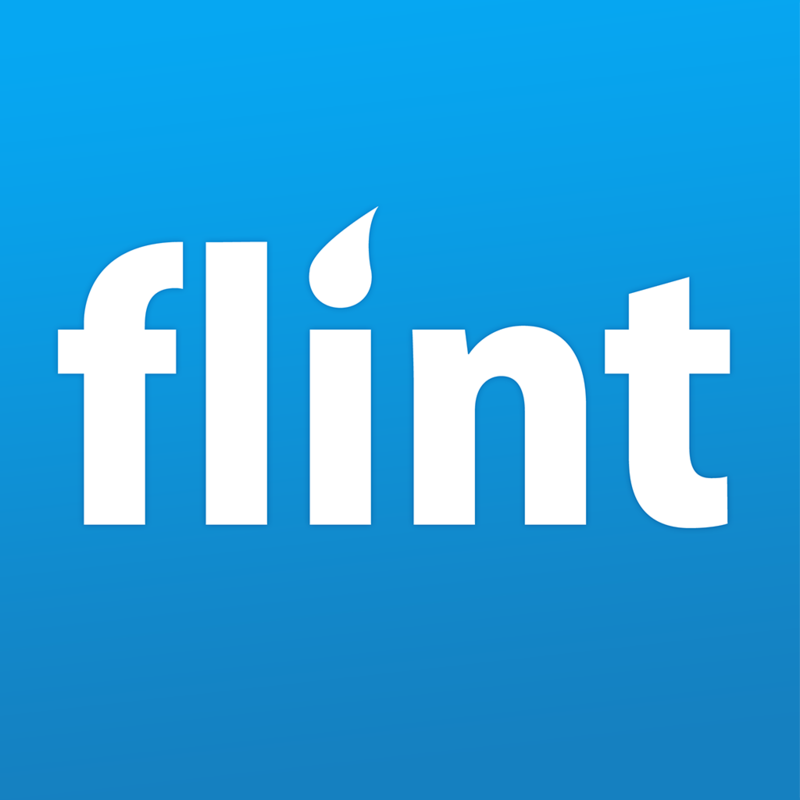 Flint first launched its iOS app last year, and the service has been gaining users ever since. Of course, a big player in this industry is Square, which allows users to process card transactions using a piece of hardware that can be plugged into an iDevice. 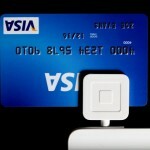 Plus, though already small, as a recent report of ours explained Square's new card reader has been thinned down by 45 percent after the company solicited the help of Apple's “Lightning connector engineer,” Jesse Dorogusker. A custom magnetic readhead and spring. Thinner and more accurate than the alternatives, the readhead parses redundant data from credit cards to ensure successful swipes. Custom electronics in a single chip. The reader is powered by the phone into which it is plugged, eliminating the need for a bulky battery and increasing life and reliability. Improved communications protocols and a custom audio plug. The Square Reader is compatible with more devices than ever before. If you're more interested in a card reader-free payment service, however, Flint Mobile can be downloaded in the App Store free of charge and is optimized for the iPhone. Check out the updated app now, or for more of our recent news, see: Apple Is Now Shipping The iPhone 5s Within 24 Hours As Christmas Deadline Nears, Be More Naughty Than Nice This Holiday Season By Playing Despicable Me: Minion Rush, and Have More Fun With The Equestria Girls In My Little Pony - Friendship Is Magic.